There’s nothing quite like sleeping under the stars, but choosing the great outdoors often means a certain amount of luxury is missing. However, a new concept in luxury camping has begun in France: Les Carres d’Etoiles (boxes of stars)is the idea of Louis and Nathalie Blanco who have brought a new way to enjoy the sky above. 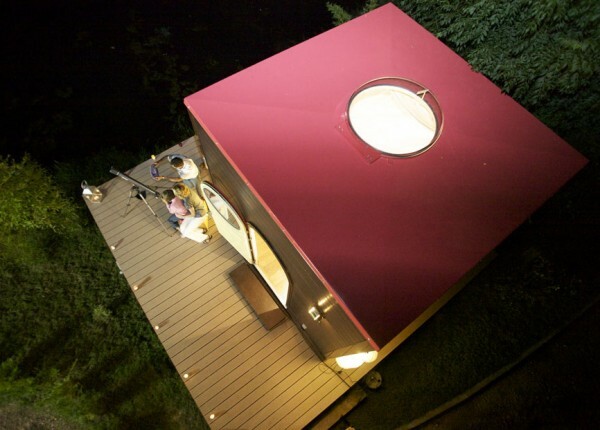 The Carre is a small bedroom with a glass dome above the bed that allows you to lie in bed and enjoy the night sky. At the foot of the bed a ladder leads to a lower level which is fully equipped with a toilet and shower, kitchenette with coffee maker, fridge and microwave, a sofa and a flat screen TV. Each cabin also comes with its own astronomical telescope and star charts so amateur astronomers can enjoy the sky above. Weather permitting of course. The first of these cabins opened in Burgundy in 2010 and there are now 23 units to rent around France; from the Loire Valley to Picardy and Provence. The units are portable and designed to stand anywhere- from the grounds of a luxury hotel to a local camp site or regional forest. With a fully equipped kitchenette guests can choose self catering and take advantage of the carres welcome baskets- available in various sizes- which offer a range of regional produce. Other dining options, even breakfast in bed is available in many of the Carres attached to hotels. Les Carres d’Etoiles sleep two are available from around €95 per night, depending on location and season. 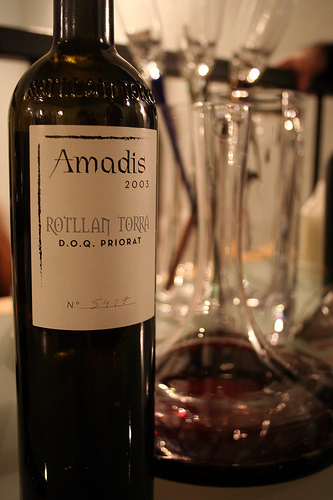 I’ve yet to do this, though I mean to, especially since I live so close to the Priorat wine region in southern Catalonia, Spain. 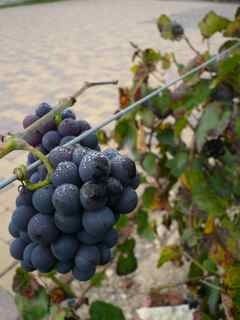 The idea is to take a week, or at least a weekend, and go wine tasting at the vineyards in Penedes and Priorat. Some cellars are open to the public and others are small family -run operations where one has to simply knock on the door and ask for a taste. Wine tasting can be exhausting, which is why I would book a few nights at Mas Ardevol, a regional B&B. Run by Gemma and Germinal, this gorgeous B&B is set on a hill with nothing but trees and mountains to look out at in the distance. Mas Ardevol is a small place with just three rooms, and a maximum occupancy of 8 guests at a time. Rooms and breakfast go for about 85 Euros per night and dinner is an extra 21 Euros. The B&B is set in a 19th century home, and has unique touches throughout , such as stone walls, private patios, and ceramic wine jugs placed just so. Maybe this September when the wine harvest begins I will finally make my dream come true and visit Pirorat for wine tasting. When I do, I will definitely be booking at Mas Ardevol, where the grime and bustle of Barcelona will fade away between glasses of red wine and the sound of silence. I can’t wait. ‘Are you a beach or a mountain person,’ I was asked the other day. ‘Beach,’ I answered, without stopping to think about it. I could live on dry, flat land, as long as there was ocean or sea nearby. I need to be close to water. Still, places like Spain’s Cerdanya region and B&B’s like Cal Rei make beach people like me think twice. Located near the Pyrenees, Cerdanya is a part of Catalonia that hugs the border with France. Many families from Barcelona have second residences in and around Cerdanya, as it makes for a nice place to escape to in the winter for skiing and in the summer for getting out of the city’s humidity and breathing some fresh mountain air. The next best thing to a summer holiday home in Cerdanya is staying at Cal Rei, which feels like home. Here, double rooms go for 60-80 Euros a night and triples go for 75-85. Breakfast is included and lunch and dinner are offered at an extra cost. The large home is run by the Selles Gasch family and sleeps up to 21 people. This beautiful property is surrounded by gardens and mountain views, with hiking trails nearby. The B&B is close to France, and popping over the border for a day-trip to the thermal springs in Llo is very recommendable. Be in the center of the action in Half Moon Bay, Calif., when you stay at the historic San Benito House. 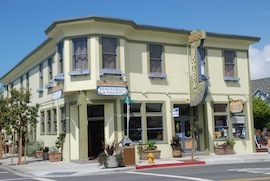 Established as the Mosconi Hotel in 1905, the building on this coastal town’s Main Street was restored in 1976, and is the perfect spot to serve as home base for visitors who want to add a little bit of history to their getaway. The 11 rooms and one suite in this bed and breakfast are located on the second floor, and all include queen beds. Three of the rooms share a bathroom, so if you want one to yourself, be sure to ask for a room with a private bath. While the San Benito House’s location in downtown Half Moon Bay puts you within reach of plenty of shops, restaurants and entertainment options, your room is a great place to leave it all behind—with no TVs or telephones. But you do have free Wi-Fi, so it’s your choice whether or not to unplug completely. Just downstairs from your room is the San Benito Deli—one of my favorite things in Half Moon Bay. With huge sandwiches on tasty Old World bread (which you can smell in the air as it bakes), it’s a must stop. Take your lunch to a table in the garden and watch the world go by. Or, visit the Bar at San Benito House for a burger and libation. In the evenings, it’s a great spot for live local music. All this under one historic roof! Can Felicia takes its name from Father Felicia, who built the now B&B as a schoolhouse for the children of the Beuda region. The building dates back to the 19th century, and now houses couples and friends looking for a getaway instead of rowdy school kids. 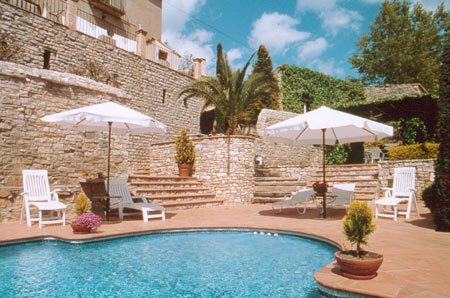 Located in Girona, 133 kms from Barcelona, a stay at Can Felicia is very recommendable for a weekend away. A small B&B, the old school sleeps up to 12 and has 6 bedrooms. It is run by Victor and Marta, who offer sweet rooms plus breakfast, lunch and dinner for about 50 Euros per person. Not a bad deal. There is also a pool on-site, a large garden and lawn area providing abundant green, a lounge and reading room, and of course the dining room where meals are served communally. Rooms are decorated in white, cream, and light woods, and are bright and cheery. 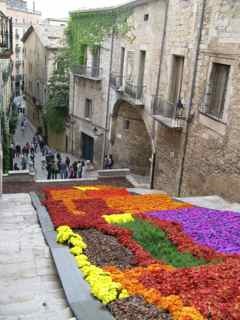 Nearby, guests to Can Felicia will want to visit the Dali Museum in Figueres, walk the streets of Girona’s Jewish Quarter and pop over to Begur for time on the beaches of the Costa Brava and fantastic seafood. You will need a car to get to these places, and to Can Felicia. About an hour south of Barcelona, Mas de Bernis is located in an area that happens to have some of the best bird watching in Spain. 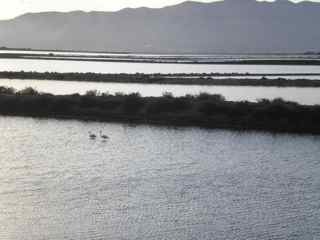 The Ebro Delta is famous for its many bird varieties, including flamboyant pink flamingos. If birds are not your thing, there are also plenty of beaches in this area that will keep sunbathers happy from May to October and tranquil swimming in the Bay. Mas de Bernis was built in 1888 as a farm and country house for one of the more well-off families of the area. Agriculture was important in the Delta zone, and still is; rice is grown along the Ebro Delta. In 2000 Albert Hernandez bought the old farm and turned it into a Casa Rural house, which is much like a B&B, but without the breakfast in this case. At Mas de Bernis there are 6 small cottages for rent by the weekend or by the week. Each house sleeps between 2 and 4 people, making them just right for families and small groups of friends. 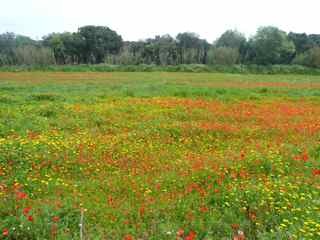 Depending on the season and the house, rates are between 194 and 220 Euros for a weekend. I mentioned bird watching, but there is a lot more to sample in this area. 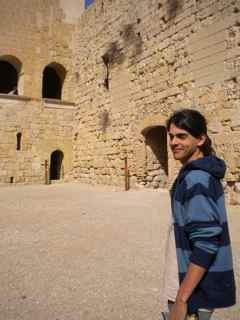 Tortosa is a charming city nearby with a Gothic Cathedral, and the Castle of Miravet is not too far away either, up the Ebro River. 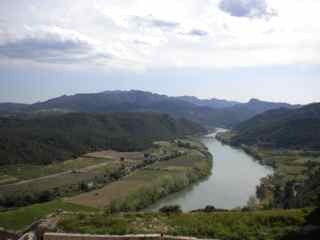 This is a beautiful part of Catalonia that is definitely off the tourist track. 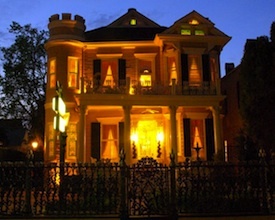 Right in the heart of New Orleans’ French Quarter, the Cornstalk Hotel is a jewel of a romantic retreat within reach of some of the best restaurants, music and historical attractions in the United States. It’s the perfect place to make any stay in the Crescent City far more than just your average vacation. While smack full of history, it’s the fence out front of the Cornstalk Hotel that is far better known to visitors to New Orleans. The colorful wrought-iron cornstalks draw admirers and their cameras from across the country. The 14 stately rooms were renovated just one year ago and include antique furnishings, private baths, comfortable bedding and comforters, 14-foot ceilings, air conditioning, flat-screen TVs and free Wi-Fi. Room rates range from $125 to $295 per night. Weekends require a two-night minimum stay. If you visit during a major event, such as Mardi Gras or the New Orleans Jazz and Heritage Festival, check with the hotel in advance about minimum stay requirements. The Domaine de Poiseul is a characteristic rural lodging in Southern Burgundy, France. The main residence features five, traditionally decorated rooms; available in twin, double, triple, family room or the Suite Cerise (Cherry Suite) with two connecting rooms suitable for a family of six. All rooms have en suite facilities. For those that are looking for something a little different however, the lodging also offers a series of tree houses, tepees and wooden cabins, situated in the forest next to the main house. 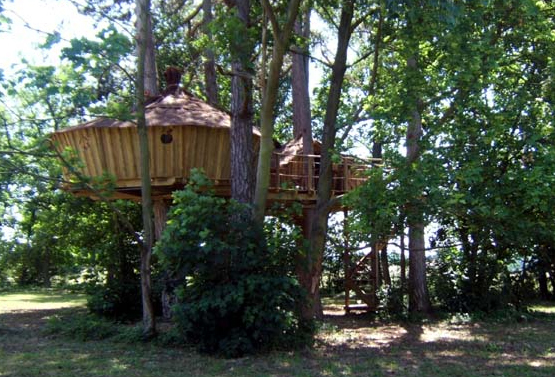 The family tree house (only suitable for children over four years) is about four meters off the ground and features two cabins, which sleeps up to five people, linked by a communal terrace. The Oak Cabin, sleeping two, is almost eight meters above the ground and is access by a vertigo inducing (but perfectly safe) hanging walkway. While the tree houses and tepees don’t feature electricity or running water, solar lighting and candles are provided and washing facilities are close by. Prices start from €125 – sleeping two or €165 sleeping five. 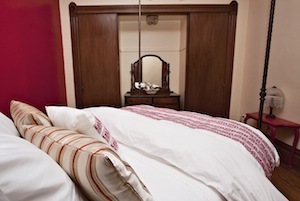 Traditional guest rooms in the main house start from €70 for one person, €80 for two or €95 for three. 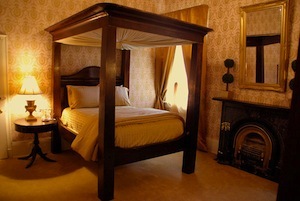 The suite cost a maximum of €135 with breakfast included in all room prices. Heading west from Barcelona out of the mess of beehive apartment complexes and smoggy, rowdy streets, you will run into the tiny village of Pujalt, which is everything Barcelona is not. This is where Josep Carulla and Cecilia Castellvi have set up La Botiga del Gra, a cluster of small cottages for rent by the weekend or week. If you have read any of my other posts on lodging in Spain, then you know I am a fan of places like La Botiga del Gra. It ticks a lot of my boxes: historic? Check, it dates back to the 16th century. Family-run? Check. I like the personal touch that comes with small businesses. Interesting? Check. 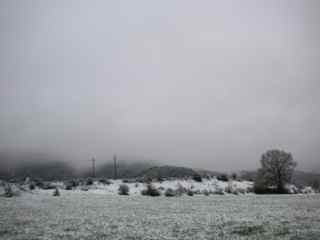 The main business over at La Botiga del Gra is farming, the rural houses are an aside. They harvest almonds and walnuts so make sure to ask about these! Affordable? Check. You don’t have to break the bank to stay at La Botiga del Gra, and families will feel welcomed here. La Botiga del Gra has three homes for rent on the property for short-term vacation stays: La Botiga, La Cort, and L’Heura. 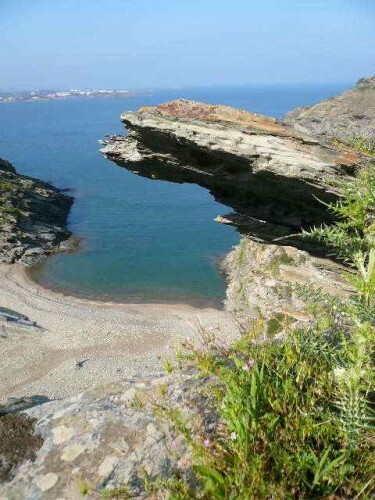 La Botiga sleeps 5 and La Cort and L’Heura both sleep 4. If you have a group or are a small family, these little stone cottages will be an ideal fit. The cottages are decorated in a cozy-country style and have fireplaces to warm you up and set the mood. A weekend goes for 200 to 300 Euros. I’ve lived in Barcelona for over 4 years now, and many times when people come to the city, they never leave it, there is so much to do here! I really do recommend, however, getting out of town for a couple days, or if you have more time a week, and staying in a place like La Botiga del Gra to get a better idea about what Catalonia is. Photo Credit: Thank you Casa Carulla, for the photo! It seems like the Maresme beaches north of Barcelona are very overlooked. Maybe this is a good thing for the residents of Maresme, but it has always been something that has puzzled me a bit. Why aren’t there more hotels and weekend getaway retreats in this area, so close to one of Spain’s largest cities? Turns out there are a few places to spend the night in Maresme if one is so inclined. Besides the prestigious Castell de L’Oliver, there is also Bed & Breakfast Can Rosich, which is a more budget option to be sure. At Can Rosich a room for the night is 55 Euros, which is a good deal considering most hotels charge over 100 Euros per night in the city and in the surroundings. Dinner is offered at Can Rosich for 18 Euros and breakfast is 7 Euros. The house is from the 18th century and is a typical Catalan cottage surrounded by trees and gardens. 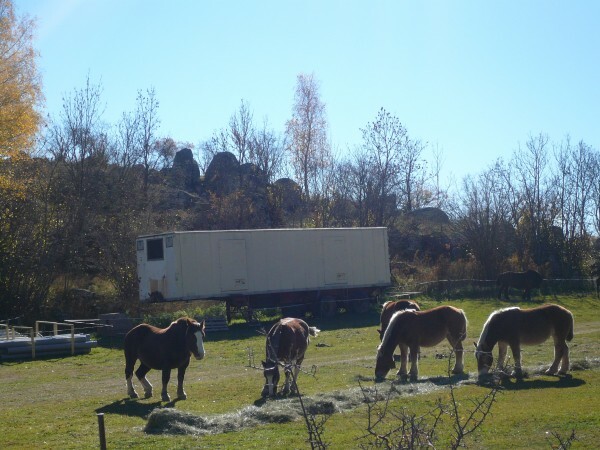 The owners have a small farm growing vegetables and raising some livestock (look forward to farm-fresh food for breakfast!). Rooms are large and simple, though cozy, and have their own bathrooms. While staying at this sweet B&B, spend your days at the beach if you are a sun-worshiper at beaches like Sant Pol and Calella. 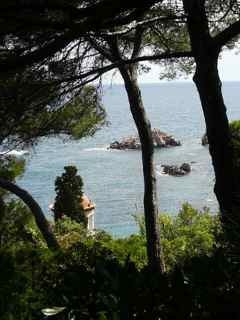 Or head up to the botanical gardens in Blanes (the only thing worth seeing in the overrun beach town – but gorgeous and well worth it).